Seven bank chiefs have been summoned to establish the true identities of the strange accounts, many of them holding billions. The senate’s month-old investigation of pension fraud has steered lawmakers to a mysterious United Bank for Africa(UBA) bank account that bears two names, and holds N3 billion of police retirees’ benefits. The huge sum, meant for police pensions, was deposited same day the account was opened, in the names of Adamu Salihu and another holder, initialed as D.G, supposedly meaning the Director General. It is not yet clear who the two persons are. 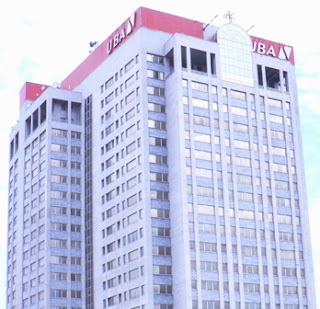 But the account was not approved by the accountant general of the federation as required, and officials responsible for its operating may have connived with UBA officials to reap hefty interests, the senate committee on establishment and public service carrying out the probe said Tuesday. The revelation came as the committee winds down weeks of investigations that have already exposed a mammoth of scandals involving diversion of pensioners’ money, running of illicit accounts, inflation of beneficiaries’ figures and outright stealing of retired public servants' entitlements. At public hearings last month, a government-named task team commissioned to help redeem a corrupt and inefficient pension process was indicted for keeping several secret accounts on government funds, and earning illegal interest from them. The police pension system itself has been accused of fraud and in one case, the Economic and Financial Crimes Commission (EFCC) was implicated in a bogus foreign trip that cost N240 million to verify only 20 retirees. Nearly all of the disclosures and allegations have led to multiple bank accounts, many with phony names; and having the banks establish the true identities of the account owners mentioned was to be part of the final lap of the inquiry. Many bank chiefs expected before the senate committee on Tuesday failed to show up. They are now summoned to appear and make clarification before the committee on April 16. The Aloysius Etok-led committee Tuesday confronted the Executive Director, North, of UBA, Dan Okeke, with documents confirming the existence of the strange account, which supposedly was being run either by officials of the police pensions or the task team. Mr. Okeke feigned ignorance of the transaction, but confirmed that it was “not possible” for one account to bear two different names or for two different persons to operate the same account. If that were to happen, he said, an investigation must be called. But pressed further by the lawmakers, he admitted there was an approval for the opening of the account in question, but requested he be allowed to return with the letter of approval. Asked if interests were paid on the account, the bank official replied that interest could only be paid on a fixed deposit. The bank is expected to provide the senate committee with details of all the pension accounts of police service, head of service, customs service and all the instructions attached to them.